League Two Exeter City made a profit of over £1.6m last year, according to the club's latest accounts. 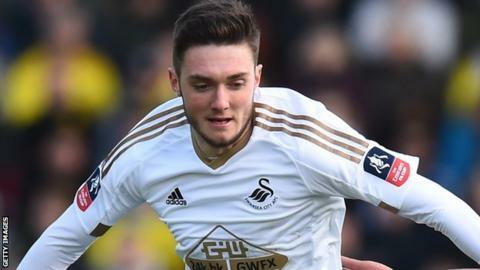 The club, which is owned by its fans via the Exeter City Supporters Trust, declared a total profit of £1.642m for 2014-15, mainly due to the sale of midfielder Matt Grimes to Swansea City. The deal in January 2015 for £1.75m, was a record sale for the club. The profits came in the same year that the club were forced to get an emergency loan to pay players' wages. In June 2014 cashflow problems meant the Professional Footballers' Association stepped in to pay the players and forced Exeter into a transfer embargo which was only lifted in August of that year. The club's accounts also show that Exeter had a surplus of shareholders' funds of £761,000, compared to a deficit of £880,000 the previous year and reduced their cost base by almost 5%. Exeter are hoping to redevelop St James Park after being given planning permission last month. "The board have agreed in broad terms how the income from the transfer should be spent to improve the infrastructure strength of the club in line with its vision and underlying model and these plans are now being developed in detail for further presentation," said a club statement.